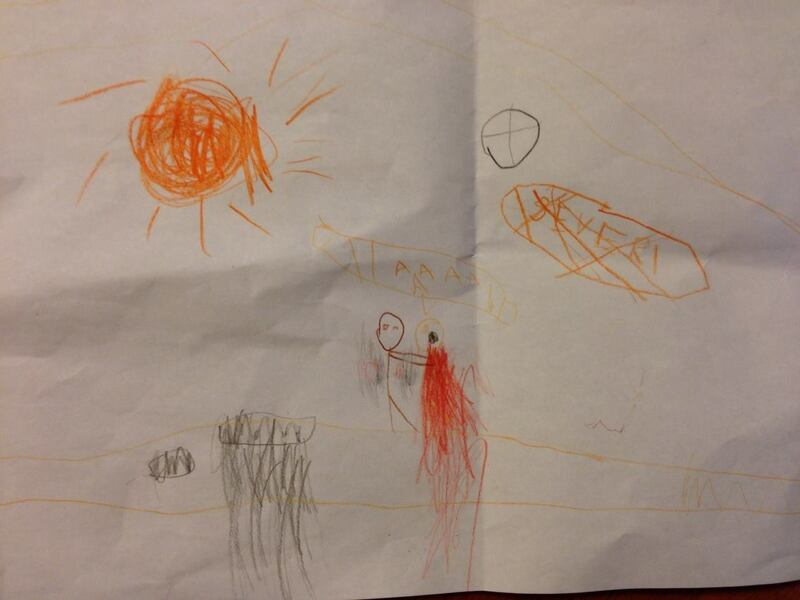 The youngest of my three sons, the six year old, loves horror stories. Naturally we don’t let him watch any kind of horror movies or play horror games – he only plays Little Big Planet with great enthusiasm, and it’s fine – I think that game is really good for him because it allows him to build his own levels. He is a creator in his own little world, and as a writer who builds his own worlds with words, I like it. However, zombies are nowadays not only a part of the horror genre but also a part of children’s culture and thus part of their collective mind, like witches, trolls and fairies have been for centuries. There’s nothing wrong in that – kids need something to be scared of, so beating that scary figure helps them to overcome their fears. Not so surprisingly, my six year old wishes to hear horror stories for his bedtime stories. So, last night I told him a stupid story about a boy and his pet cow who died and turned into a zombie cow. In the end the boy shot the zombie cow with his big brother’s vaporizer gun. (I admit: the story should and could have been much better, considering that I am a writer…) And today he brought home a drawing he had made in preschool. « The Rabbit Back Literature Society in Waterstones book club!